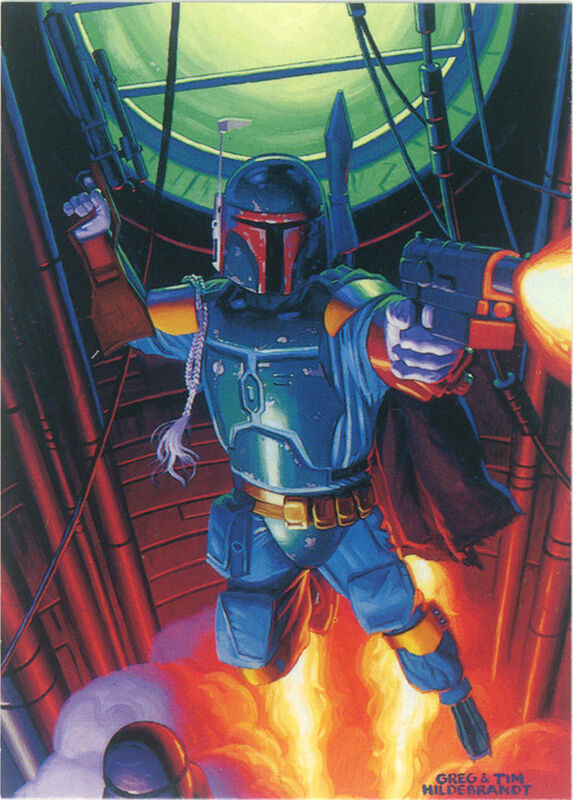 A bit thicker than other Topps Star Wars Cards, the release of the 1996 Topps Star Wars Shadows of the Empire set is based primarily on art by Greg and Tim Hildebrandt and is which is further based on a book of the same title by Steve Perry. The story takes place between Episode V, The Empire Strikes Back and Episode VI, Return of the Jedi and despite the fact that there are Star Wars cards, a book, a video game, a comic book, action figures, a reference manual, and even a sound track based on the story, there's still no movie. And this is well into the Disney Era.